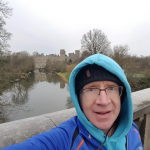 On July 6th 2019, with a combined age of 100 years, Mike Pagan and I are competing in our first (and probably our last) Quadrathlon – one of the most grueling one day events in the UK. 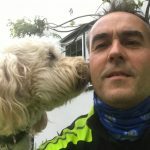 Or as we now refer to it Chris and Mike’s Quad100.I was inspired to do this having interviewed so many amazing high achieving sports people and adventurers. I decided it was therefore time to do something that helped others and stretched me both physically and mentally. Whilst considering what to do In 2018, my family and I had the pleasure of staying with the author of Positiverosity, David Fox-Pitt MBE and his wonderful family at their beautiful Loch Tay home in Scotland. 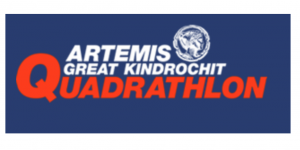 I was so inspired by the incredible story behind their Artemis Great Kindrochit Quadrathlon and their passion to raise money to help underprivileged people through their events (£40m so far) that an idea began to form and would not leave me! The quad is described as an exhilarating test of stamina, strength and fitness through some of the most spectacular and historic areas of the Scottish Highlands, a weekend never to be forgotten! So I persuaded good friend and fellow speaker, author, broadcaster Mike Pagan to join me. Why? Because he is one of a rare breed – crazy enough to say yes! It all starts with a 6am swim across chilly Loch Tay of about a mile (In September I could not swim crawl at all, while Mike completed the English channel relay in 2015), we then run 15 miles over seven Munros (mountains) in the Ben Lawers range – on average a 7.5 hour scramble then in a two man kayak we paddle together 7 miles, before jumping on our bikes and cycling 34 miles around hilly Loch Tay. Oh and then we have to dance four Scottish reels at a Ceilidh in the evening to say we have finished!! We also have to read maps, carry our own drinks, food, sun block and thermals and complete it all within less than 16 hours. A more important big positive is it is all for two tremendous causes Mercy Corp and Mary’s Meals. Last year Mercy Corp provided vital assistance to nearly 28 million people impacted by conflict, disaster and poverty. Mary’s meals fed 1,361,586 children a school meal each school day in over 17 countries. £13.90 will feed a child for a whole school year. Proving to Chris’s wife Ruth that it is not just a midlife crisis, it is indeed helping to relieve human crisis!